IVF is definitely a blessing for the couples who wish to have a baby but are not able to due to any reason. It not only helps the women to get pregnant but there are high chances of the successful results if the process is carried out in the right way. Though IVF pregnancy is a little different from the natural one but it takes a lot of effort and patience for the same. The results are not at all guaranteed but will depend on the present status of your health. It is your doctor who can best tell you about the IVF risks, what can be done to boost the chances and lots more. So the correct guidance iswhat needed to ensure that IVF works for you. Apart from the assistance of the doctor, there are other things too that you can do to ensure the success of the IVF treatment. Here is all you can do for yourself or for your partner. Take proper rest – The early weeks of IVF treatment are quite important and the success depends on the same. Therefore it is necessary to ensure that you stay healthy and take the right amount of rest. The more you rest, higher are the chances that the embryo will settle down in the womb. Once the embryo starts showing the signs of growth and develop pulse rate, things come on track. But before that you need to be careful and make sure proper rest is taken. Go for regular check-ups –In order to ensure s healthy and safe pregnancy, you need to follow up with your doctor. This is because of the simple reason that regular check-up will ensure that everything is alight. 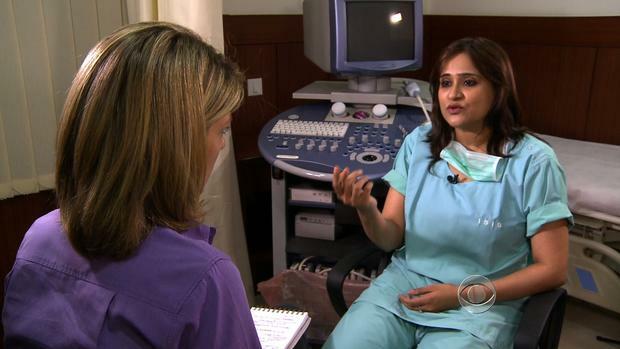 IVF is crucial and you will not want to take a chance with it. So it is advisable to follow the advice of your infertility expert and go for regular visits whenever asked to do so. Also regular visits will help you to learn more about the pregnancy and how it is moving ahead week by week. Meditation can help – Meditation is something that will help you to keep away from stress and at the same time keep you fresh too. So it is good if you start meditating as it will be healthy for the baby too. Early morning meditation is something that you ought to focus on. You can even choose your suitable time as per your schedule but do take out some time to meditate as it comes with a number of benefits for both the mother and baby. So this is how you can easily enhance the chances of success. With little tips and tricks you can certainly look forward to the positive results. Dr Shivani Sachdev Gour is one of the best infertility experts who offers the best guidance to the couples. If you too are tired of trying various treatments and still have not been able to conceive, then go through dr shivani gour review and you will get a lot of motivation. With her support you can easily get blessed with a baby.